Alexander Stukalo is a Patent Attorney with the IPR Group. His expertise includes drafting of applications on inventions as well as utility models and designs. Alexander advises clients on a wide range of patent-related issues, handles ownership changes with regards to patents, prepares and drafts assignment recordals, and also gives advice on patent infringement matters. Alexander graduated as a Mechanical Engineer from the Ural Polytechnic Institute, in 1982. And in 1985 he graduated as a Patent Specialist from the Central Institute of Advanced Training of Executives and Specialists of National Economy in the field of patents. In 2002 Alexander passed the state exams, and became a patent attorney (being assigned certificate № 218). Specialization: inventions, utility models, designs, marks for goods and services, intellectual property legal services. 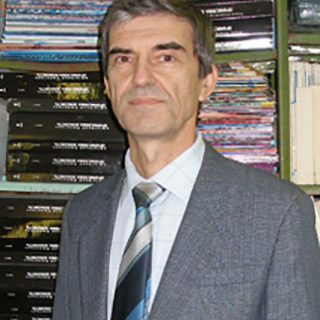 His work in the sphere of IP began in 1979 when he took up a job at Ordzhonikidze (Sverdlovsk city – now Yekaterinburg) in an “Uralmash factory”. There he gained experience in the design of industrial property rights while being educated alongside at the Central Institute for Advanced Studies (Moscow), specializing in Patenting. Alexander moved on in 1986 when he was hired at the “Zhitomir Factory of Automatic Machines” as a Chief of Bureau of Patent and Licensing and also in Rationalization. He was engaged in the practical aspects of registration of rights of industrial property objects, including rationalization proposals, as well as the payment of royalties for the introduction of inventions and innovations, and also conducting patent research to develop new products. In 2001 Alexander worked at the “Zhitomir Center of Scientific, Technical and Economic Information”, where his duties included the registration of rights to industrial properties and acquisition of patent funds, thereby working regularly with inventors. Alexander currently works with patent cases within Ukraine and the CIS region, and also lends his experience and education to provide quality services for the protection of intellectual property rights in the field of Engineering. Languages: Ukrainian, Russian and English.